GLENDALE, AZ, October 12, 2018 — Marquis Who's Who, the world's premier publisher of biographical profiles, is proud to present Harry Prestanski with the Albert Nelson Marquis Lifetime Achievement Award. An accomplished listee, Mr. Prestanski celebrates many years of experience in his professional network, and has been noted for achievements, leadership qualities, and the credentials and successes he has accrued in his field. As in all Marquis Who's Who biographical volumes, individuals profiled are selected on the basis of current reference value. Factors such as position, noteworthy accomplishments, visibility, and prominence in a field are all taken into account during the selection process. With more than 45 years of professional experience, Mr. Prestanski has served as president of HP Communications Inc. in Cincinnati, Ohio, since 1992, having been vice president and managing director of Guthrie Mayes Public Relations in Louisville, Kentucky, from 1990 to 1992. Prior to obtaining these positions, he was vice president and managing director of Carmichael Lynch Relate in Minneapolis, Minnesota, from 1988 to 1990, and he was vice president and general manager of the Creswell, Munsell, Fultz, & Zirbel public relations division in Cedar Rapids, Iowa, from 1980 to 1988. From 1977 to 1980, he was publicity manager for Winnebago Industries Inc. in Forest City, Iowa, and from 1975 to 1977, he was vice president and account supervisor of Josephson, Cuffari, & Co. in Montclair, New Jersey. Earlier in his career, Mr. Prestanski was publications editor of Hobart Brothers LLC in Troy, Ohio, from 1972 to 1975. Mr. Prestanski began his career as a member of the United States Marine Corps, serving from 1996 to 1972 to the rank of Corporal. He served 16 months in Vietnam and attended the USMC Non-Commissioned Officers Leadership School in 1969. He then pursued an education with Ohio University in Athens, obtaining a Bachelor of Science in Journalism in 1972. He completed postgraduate with the University of Dayton in Ohio from 1973-74, returning to Ohio University for postgraduate work from 1976 to 1977. 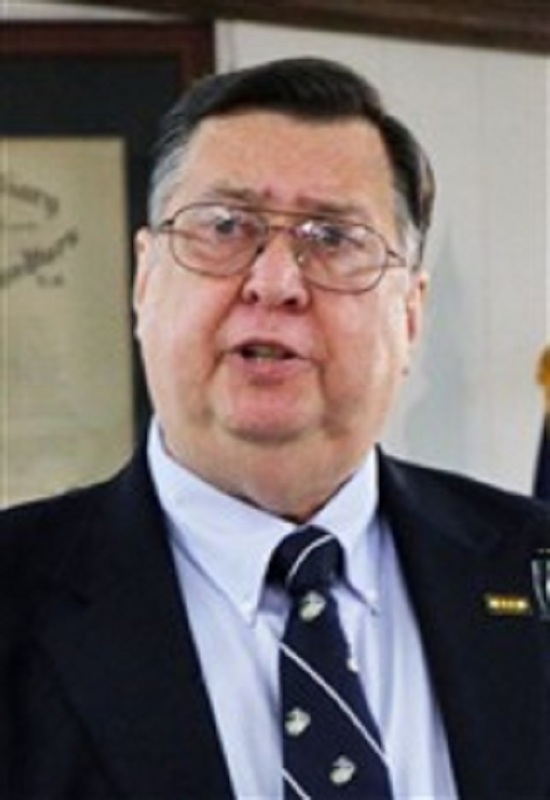 A respected voice in his community, Mr. Prestanski is renowned for his work in veteran advocacy, having served as executive director of Ohio Veterans United from 2008 to 2016. A life member of Veterans of Foreign Wars of the United States, he has also been active with numerous other organizations in relation to his areas of expertise, including the Minnesota Press Club, The Public Relations Society of America, The Knights of Columbus and U.S. Vets United. He has served as member of Big Brothers Big Sisters of Zanesville, served on the board of trustees of the Literacy Network of Greater Cincinnati, was on the Board of Directors for seven years of the Indian Creek Nature Center, Cedar Rapids, Iowa. In 2012 he was appointed to the Governor's Council on Peoples with Disabilities and served as Vice Chair and Trustee with Partnerships for Housing in Butler County which provides affordable housing for the disabled. He has been active in the Republican Party including campaign manager, Senate District Chair, Precinct Chair, State GOP Delegate and GOP volunteer in Arizona, California, Minnesota, New Jersey, Iowa and Ohio and was a delegate to the 2008 National GOP Convention and a member of RNC Operations Team for the National GOP Conventions in Minneapolis (2008), Tampa (2012) and in Cleveland (2016). Throughout his career, Mr. Prestanski has been recognized for his contributions, including with the Governor's Award of Excellence, and the Certificate of Commendation from the state of Minnesota. He has been featured in numerous honors publications, including the 31st edition of Who's Who in Finance and Industry, the 55th edition of Who's Who in America, the 1st edition of Who's Who in the Media and Communication and multiple editions of Who's Who in the Midwest and Who's Who in the World. In recognition of outstanding contributions to his profession and the Marquis Who's Who community, Harry Prestanski has been featured on the Albert Nelson Marquis Lifetime Achievement website. Please visit www.ltachievers.com for more information about this honor.